Happy leap day! I’m finishing up CIZE, the new hip hop cardio dance workout by Shaun T. It’s actually super fun and makes cardio feel less exhausting. The routines are set to modern music and they break them down into easy moves that they repeat multiple times before adding on. Curious? Check out info here. 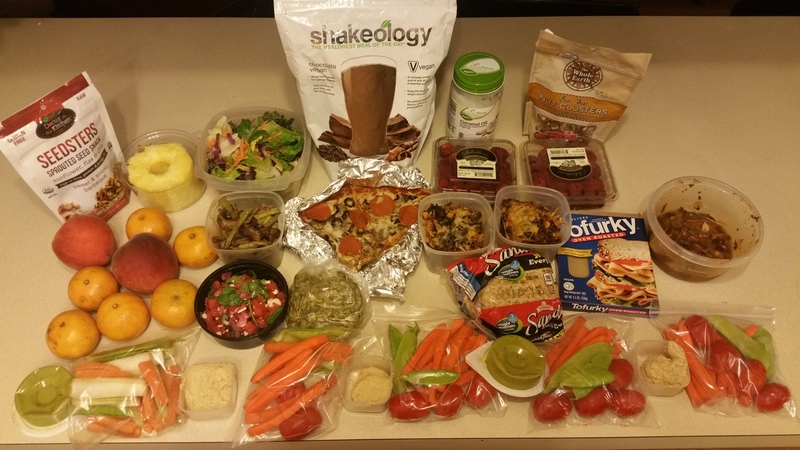 Here is the last meal prep I did in February 2016. I’m running around a lot this week, so simple and quick meals are best for me. Let’s take a peek at what I will be eating. The back row starts with sliced cucumbers that I will add to the veggie bags daily so they don’t dry out. Following is a 3 oz. serving of tuna mixed with lemon juice and pepper and whole wheat organic crackers. The next container is spaghetti squash, TVP, mushrooms, easy Italian freezer tomatoes and no sugar added spaghetti sauce. Next to that are egg, mushrooms and cheese egg cups. The row ends with lemon pepper tuna and whole wheat crackers. Row two begins with veggies and hummus and dressings. Following are whole wheat sandwich thins with two sliced Baby Bel cheeses on them and a serving of Field Roast Lentil Sage Deli Slices – a tasty, quick vegetarian protein source. Next to the sandwiches are three containers of sliced mango and blueberries. Right under those are small, honey crisp apples. The final row is of bagged veggies and hummus servings. I love the Tribe Everything Hummus, it’s all the toppings on an Everything bagel in a hummus! Next to it is my Shakeology, a dense, superfood meal replacement shake that contains 78 superfoods, your daily vitamins and a huge dose of clean protein. Shakeology has helped me lose weight, improved my energy, let me ditch my chalky vitamins and given me a clean meal on the go. And the final items are my clementine oranges. I am not a Beachbody coach. I am not being compensated for this review. My goal is to provide real information about my experience with this program. I will be checking in weekly and posting my results at the bottom of each entry. For the start of my review, check out Week 1Week 2 . This week was my toughest one yet with the workouts – which means I felt the most accomplished. 🙂 Week four starts to transition away from the “Define” workouts to the tougher ones focused on specific trouble areas. This week I was introduced to the “Buns” and “Strength Intervals” workouts. Strength Intervals: Before you start this DVD, put on a sports bra and athletic shoes. I’m 100% serious and I was very disappointed this wasn’t listed on the “Items Needed” list you get before each workout. “Strength Intervals” is twenty-five minutes of non-stop moving and it includes jogging, high knee jogging, skaters and jumping burpees mixed with lunges, planks, squats and more. I made it 5 minutes before I paused the DVD to put on a better bra and shoes. This DVD is tough if you don’t like cardio. 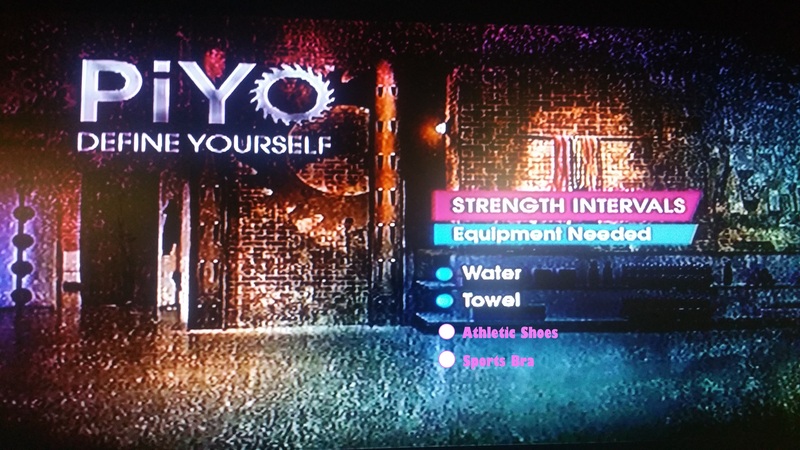 It’s not as high impact as a P90X or plyometric based workouts, but it is higher impact than the other PiYo workouts so if you have back or knee issues I would suggest starting off with the beginner modifications and use a mirror to check your posture. That being said, this was the most challenging DVD by far for me and I feel like adding this to the rotation will really increase my strength, endurance and caloric burn. Overall: Week three brought two workouts that really challenged me. “Strength Intervals” has jogging which ISN’T part of standard Pilates or Yoga, but does rev up the metabolism and keep the body warm for stretches. My body is adjusting to the other workouts so this is the perfect time to add in new ones. This week’s meal planning was a lot easier. I had some left overs from week 2 and planning has just become more intuitive. Instead of writing down “one protein out of four” I can remember exactly how many servings I need. However, I did discover this week that there are a few app available for the 21 Day Fix for iPhone and Android so it’s a great way to track how many servings down and how many to go. This website also has some great printables as well. I’ve been getting more creative with my protein, trying new kinds of milk (almond, cashew, etc.) and integrating low fat dairy into the plan. As a pescatarian it’s been challenging and it would be easy just to say “all Gardenburgers!” but I also try to keep my soy down to one serving a day to avoid adverse side effects on my hormones (soy raises estrogen like crazy and can lead to swelling/tender breasts, fatigue, etc.). 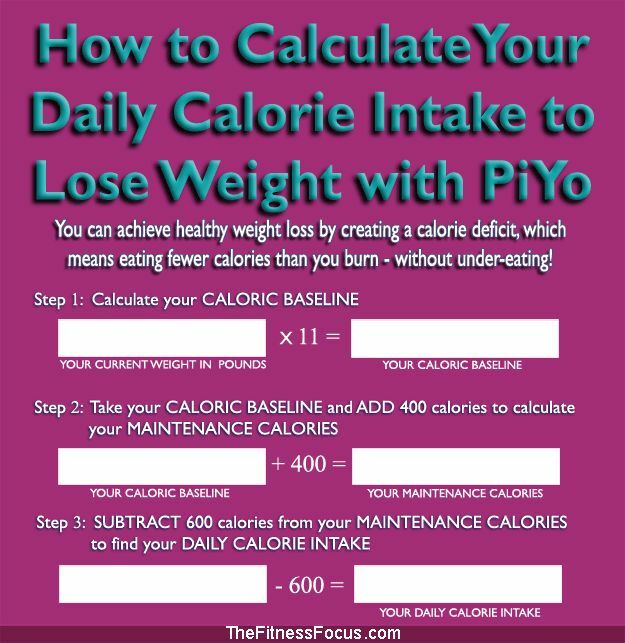 Week 3 of my PiYo / 21 Day Fix meal plan. Yeah, that’s pizza! Pictured to the left is my meal plan for lunches and snacks. I always plan my meals for lunch/snacks at work and follow up with protein right after 5pm. Then I either prepare dinner at home or have something at a restaurant. As I said in previous entries, eating out is not a problem if you are smart about it. Buying strictly berries for fruit is expensive and will increase once summer is over. I integrated cheaper fruits like bulk clementine oranges and nectarines to offset the cost. 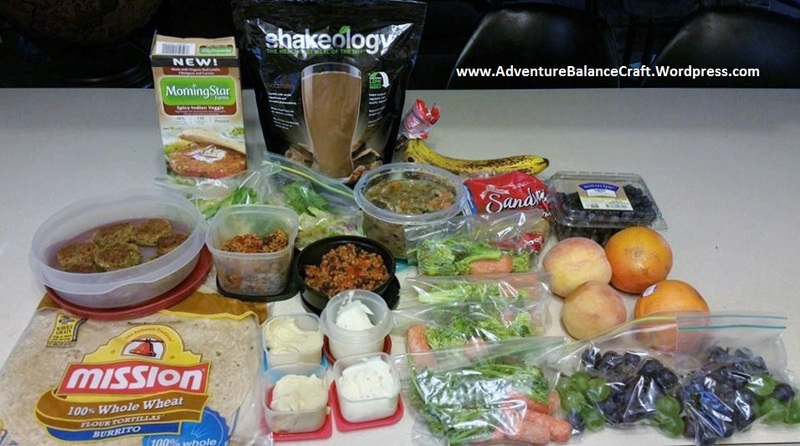 Overall: Still geeking out over my meal planning – so many containers and such yumtastic food! I feel good knowing that I am not eating junk and I feel healthier on the inside as well. 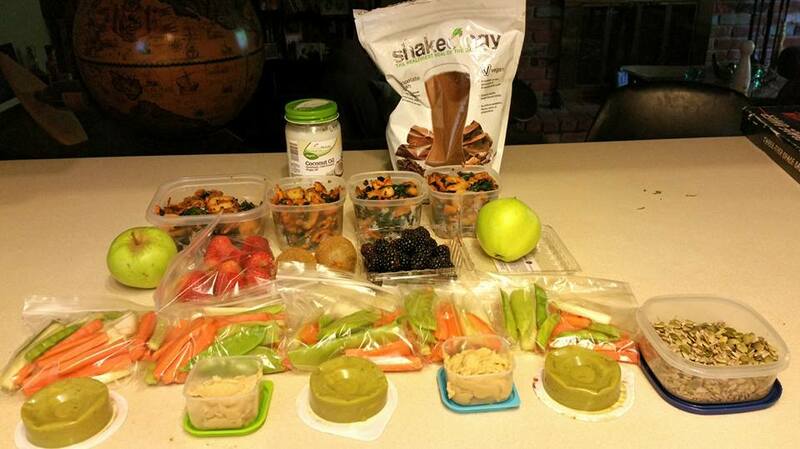 It’s nice to just reach for my pre-portioned foods daily and not stress what to pack the night before. Still miss drinking more than one glass of wine, but economically I’m a cheaper date! I drink Shakeology in the morning typically after my PiYo workout and before going to the office. It’s becoming a habit that I enjoy – it’s like a morning milkshake. I bought some caramel and coconut extracts on Amazon so I could add on flavors without adding calories. 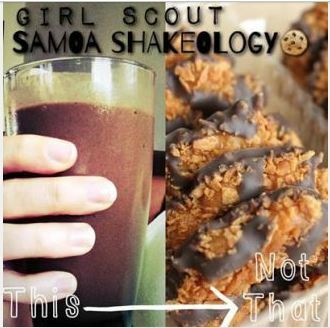 It’s been fun, a favorite recipe is a Girl Scout Samoa cookie that I have posted below. I also have been using mint extract, various spices and more to add a flavor kick. 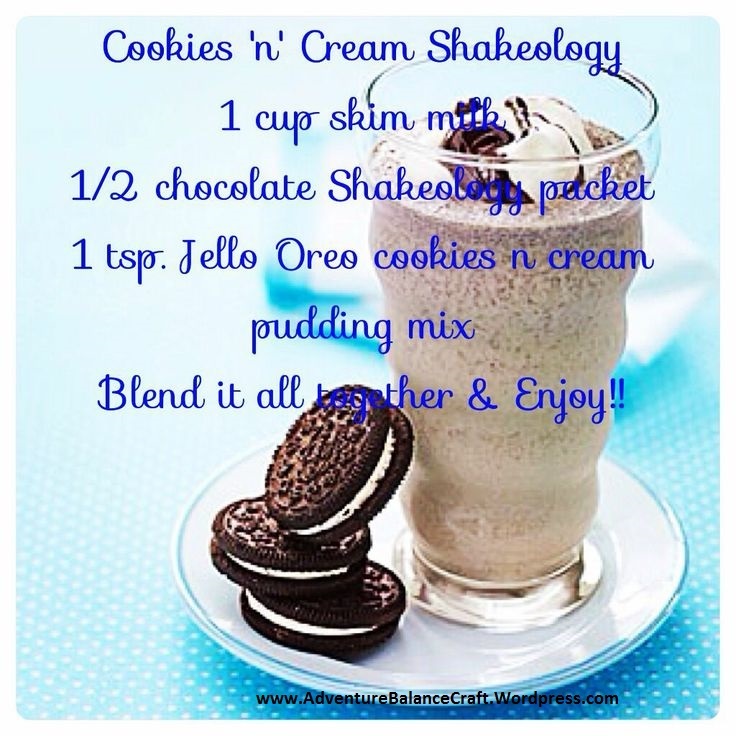 Simply blend them all together and enjoy! I have noticed that with Shakeology I feel full for a few hours (likely because of the high protein blend that has chia seeds in it) AND I am not as caffeine dependent as usual. It has a small amount of caffeine in it, but not anywhere close to what I usually drink. As a result, I have stopped running to the break room for cups of green tea and started having tea as an early afternoon pep up. Overall: I’ve been pretty skeptical about Shakeology, mostly because of the price tag. But I am really enjoying the flavor and it gives me vitamins and a boost of energy. I ordered the mixed flavor packets for next month: 8 packets of vanilla, 8 strawberry packets and 8 chocolate. I am excited to see what those other flavors are like and maybe share some creative recipes with those. I think the variety of 3 packs outweighs missing 6 servings like you get with the bag – I will report back soon! The Coaching and Challenge groups continue to be an asset to the program. I have found support, recipes and more through these. I have also won a few freebies like samples of different flavors and T-shirts, which are a nice bonus simply for checking in frequently. eating plan as the 21 Day Fix, I am doing it for 60 days so I went from a free five day challenge group to a 21 Day Fix group and am now in two others simultaneously. It’s a lot of places on Facebook to check in and manage. 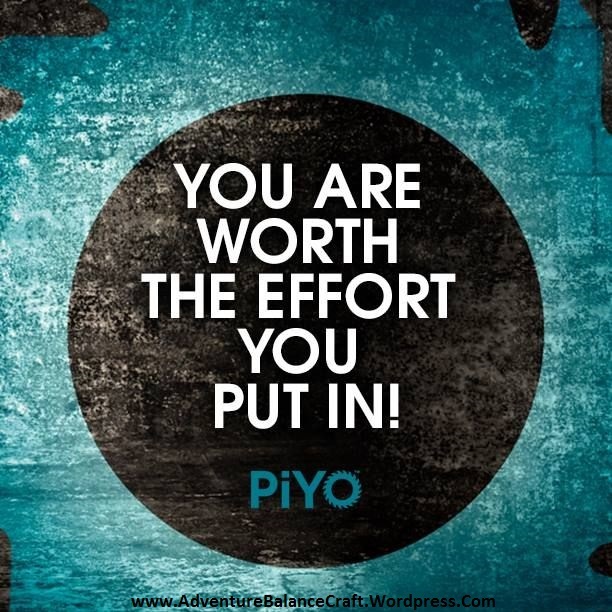 I’m sure when PiYo was the new workout all the groups were oriented towards it, but it would have been nice to also connect with other women who were in it for the long, 60 day haul and not just three weeks. 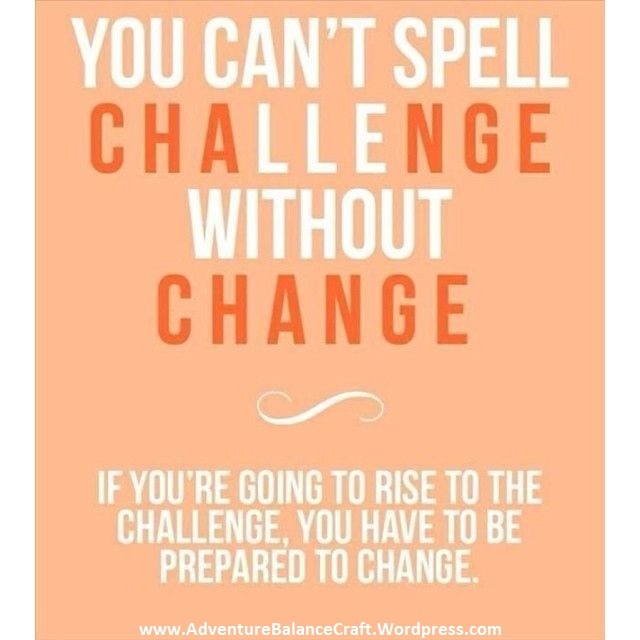 But, I still enjoy seeing photos of other challengers, hearing NSVs (non-scale victories), swapping clean eating recipes and more. Overall: The Challenge groups are still motivating and great for workout accountability. It also helps me from eating outside the plan, because I want to stay strong for the group and not post “lost my nerve in front of some cheesecake!” I have limited the number of notifications so my phone isn’t going crazy during work hours and just check the pages once or twice a day. 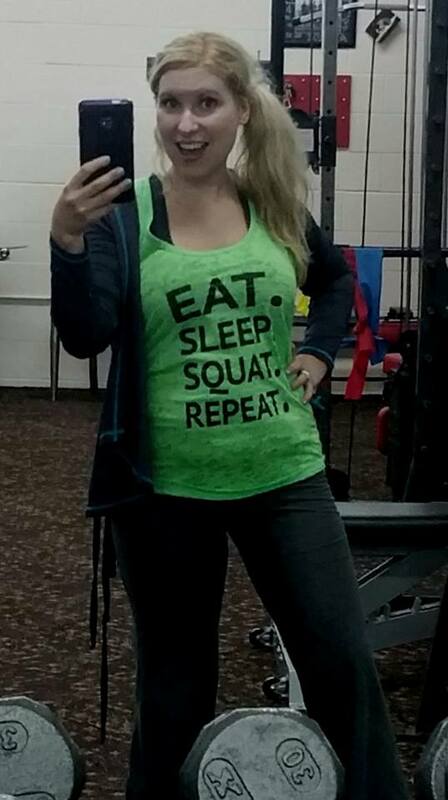 NSVs: Pants are looser, I’m sleeping better and my coworkers have started to compliment me on looking “thinner in the midsection.” All this leads to increased self-confidence, so while it isn’t a huge weight loss this week, I am very pleased!